You're busy. We get it. It's not easy finding great tasting, convenient and healthy food on the go. Good news! 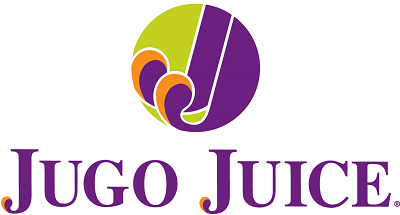 Jugo Juice has crafted delicious beverages and food to fuel your busy lifestyle so you never have to compromise on health or on savings! Jugo Juice uses use only the best fruit and fresh, never frozen greens, plus Xtra Benefits including protein powder, spirulina and more to add that little extra healthy kick to your smoothie. Members get a FREE regular Xtra Benefit with the purchase of any smoothie.